Swedish brand POC has made a name for itself with a singular focus on safety, an instantly-identifiable Scandanavian-modern aesthetic, and the sort of pricing that tends to contribute to an item’s must-have status. While the Trabec trail helmet has its devoted fans, the two sizes offered left a gap in the medium portion of the noggin size bell curve, exacerbating that model’s trademark mushroom-cap effect on my 57cm head. 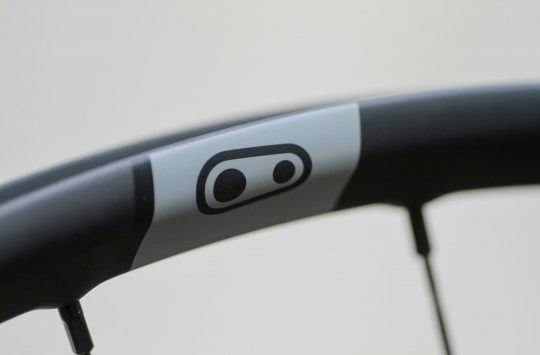 When the Octal AVIP (Attention, Visibility, Interaction, and Protection) was introduced in 2013 as a road model, it was instantly identifiable as a POC product- only this time with gaping air vents, deep rear and temple coverage for a ‘road’ helmet, and (hurrah!) a full three-size range. Purchased with road use in mind after a nasty spill on winter ice, this Octal quickly -looks be damned- displaced my cross-country helmet thanks to its fantastic airflow and independent test results suggesting that both versions outperform at least one notable ‘enduro’ model in terms of energy absorption (Protection). 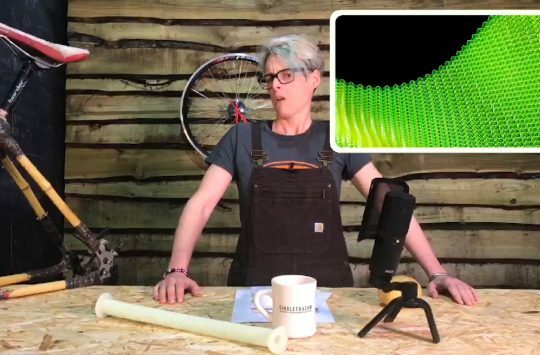 While the cyber-hairnet look does attract comments and the bright blue (Attention & Visibility) does demand some wardrobe coordination, the Octal simply has a way of disappearing from the perspective of the wearer. The 251g weight (M/L with a summer’s worth of dried sweat) deserves some credit, but so too do the excellent oval fit and secure retention system. Despite having been fed a steady diet of suncream and perspiration, the Polygiene pads have stubbornly refused to break down or retain odour. And so it has been. Through a hot summer spent in the desert, the Octal remains one of the coolest helmet this rider has worn, road or otherwise. While not MIPS-enhanced (now available as an added-cost option), the Octal’s comparatively smooth exterior is thought to reduce the chance of snagging during a sliding impact and as a result is less likely to yank the wearer’s skull faster than the brain can keep up. This is all hypothetical stuff, mind, but rotational injuries are nasty stuff and every little bit is welcome. So too are the bright AVIP model’s bright colours and decently-sized hits of reflective black material for those ‘hoofing it back on the tarmac after dark’ adventures. Disappointments with the Octal AVIP are few. The lightweight chin strap seems to need more minding than some thicker straps- though no helmet is really immune from gradual loosening. The included ICE label was easy to register and provides first responders with a QR code and SMS number/PIN combination for easy contact of loved ones (Interaction). 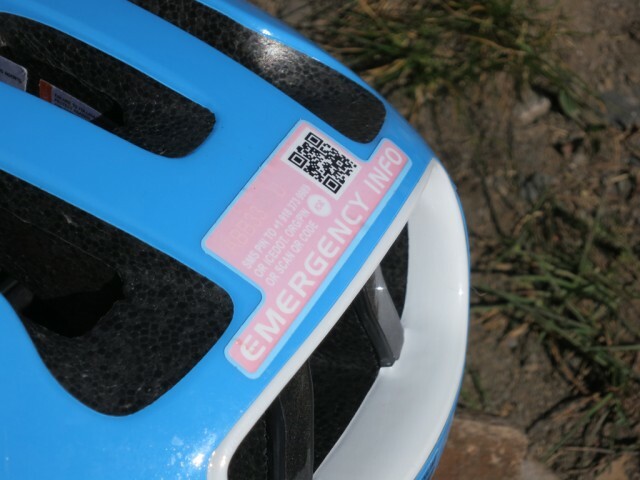 While the feature is appreciated, the orange decal quickly faded to a sickly pink and while the QR code is as bold as ever the PIN will at this rate soon be illegible and contacts unreachable to those without a QR reader on their smartphone. 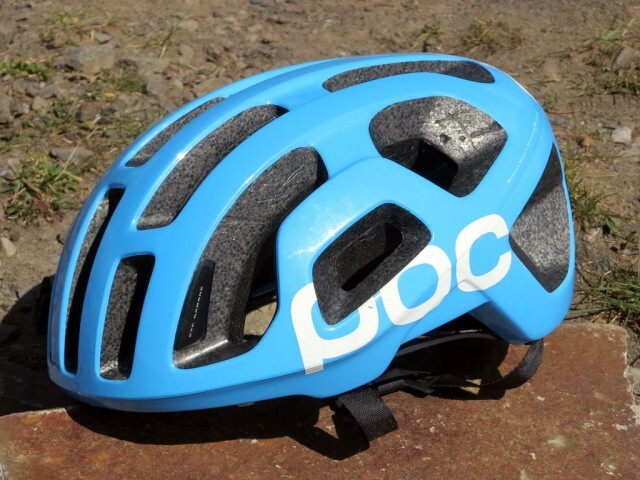 The price is a major obstacle as well- but after eight months with the Octal, I can say that, between the fit, ventilation, and perceived safety, it still feels like money well spent. Finally, there’s the issue of the peak. Or more specifically its absence. While not an issue on the road, it feels odd at this point to hit the dirt without one. 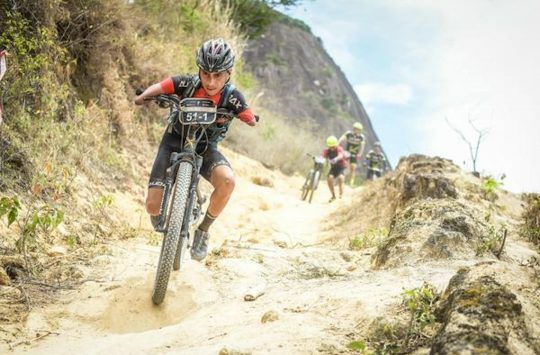 The peak is a mountain bike affectation to some extent, but early morning or late afternoon rides would be that much more pleasant with the ability to block the sun when it nears the horizon and would help to protect the nose from our region’s angry, high-altitude sun. 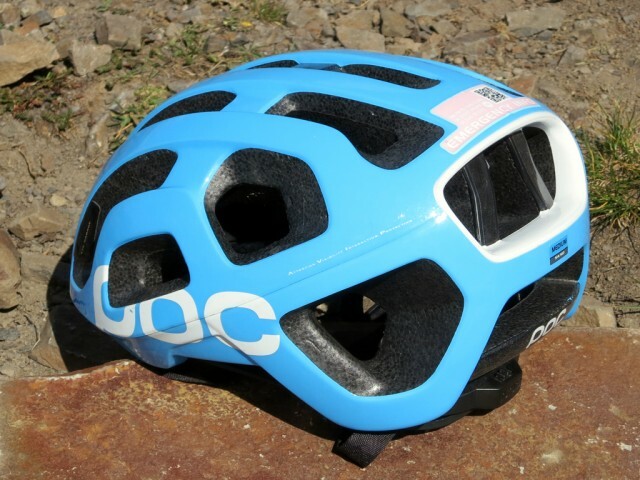 In response, POC would certainly point us to the Trabec or new Tectal– but there are still a good number of riders who aren’t ready to embrace the half-lid-with-Lycra look. Despite the lack of a peak and the disappointing ICE tag, the Octal remains far and away my XC/marathon helmet of choice. 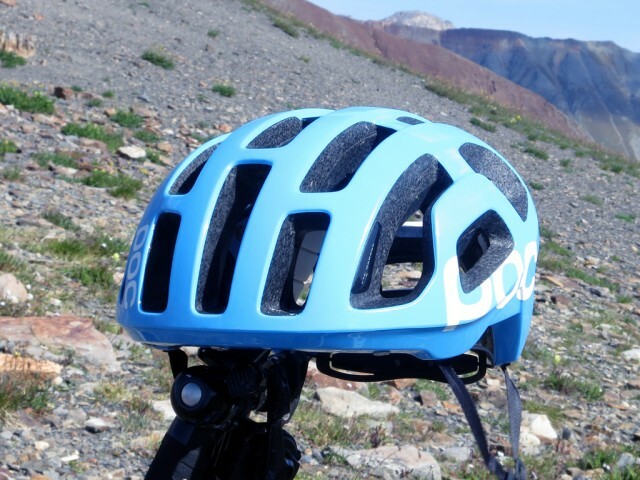 Comfort is a many-faceted thing, but with a secure fit, light weight, and an increased feeling of protection, the Octal scores highly on every front. So much so that, were it to be damaged or lost I wouldn’t hesitate to pay for a replacement. And as someone whose helmets are usually provided as review items, that’s as high praise as I can imagine.